A few species of aphids infest celery in California. According to the UC IPM Pest Management Guidelines, the black bean aphid (Aphis fabae), the foxglove aphid (Aulacorthum solani), the green peach aphid (Myzus persicae), the hawthorn or parsley aphid (Dysaphis apiifolia), and the cotton or melon aphid (Aphis gossypii) attack celery and cause varying levels of damage. These aphids feed on the aboveground plant parts – leaflets and petioles – and some of them are vectors of virus diseases such as western celery mosaic, celery calico, cucumber mosaic, celery yellow spot and others. In late 2014, an organic celery field in Santa Maria was severely infested with aphids feeding on the root system. Damage stunted plant growth and resulted in up to 80% of yield loss. Gillian Watson at CDFA identified the aphid specimens as the rice root aphid, Rhopalosiphum rufiabdominale (Sasaki) and the honeysuckle aphid, Hyadaphis foeniculi (Passerini). 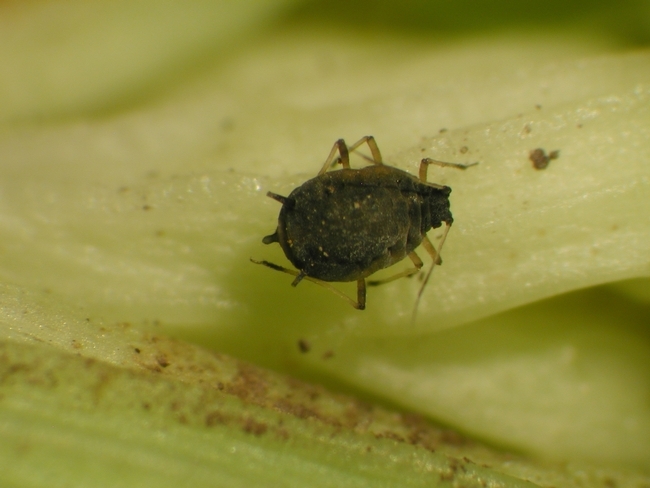 While there was only one earlier record of the honeysuckle aphid infestation on celery, according to the CDFA records, the rice root aphid has never been reported on celery. 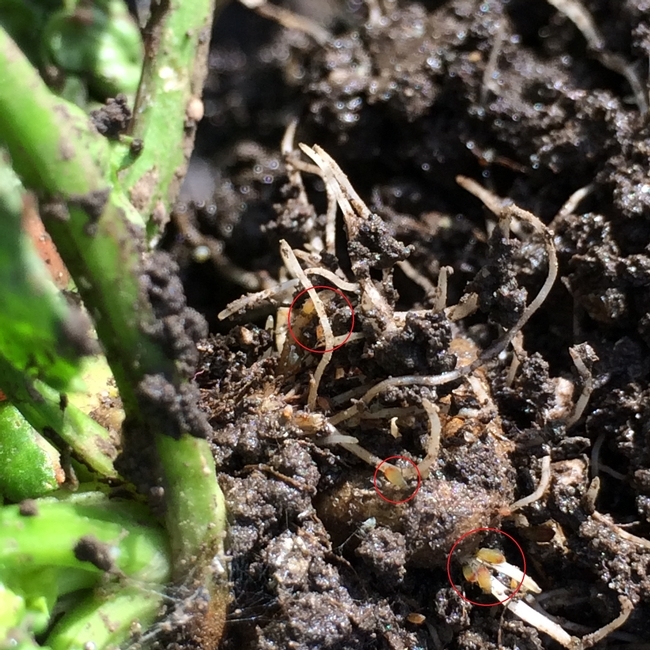 This is the first record of the rice root aphid on celery. Multiple species of the genus Hyadaphis are referred to as honeysuckle aphid, coriander aphid, and others in the literature, but the one identified on celery was H. foeniculi. The rice root aphid is known to infest graminaceous (barley, rice, and wheat), rosaceous (apricot and plum), and solanaceous (potato and tomato) crops and is known to vector the barley yellow dwarf virus of grasses and small grains. The honeysuckle aphid is known to be an important pest of apiaceous (fennel), caprofoliaceaeous (honeysuckles), and lamiaceous (mints) plants and involved in the transmission of 13 viruses. Depending on the host plant they are feeding on, the wingless form of the rice root aphid can be olive to dark green or brownish with yellowish tints or reddish or greenish-brown along with bluish-white wax on the body. The wingless form of the honeysuckle aphid is greyish green or light green with dark appendages. Natural enemies such as coccinellids, syrphid fly larvae, and lacewings play an important role in biological control of aphids infesting aboveground parts of the plant and root aphid management is a challenge especially in organic cropping systems. 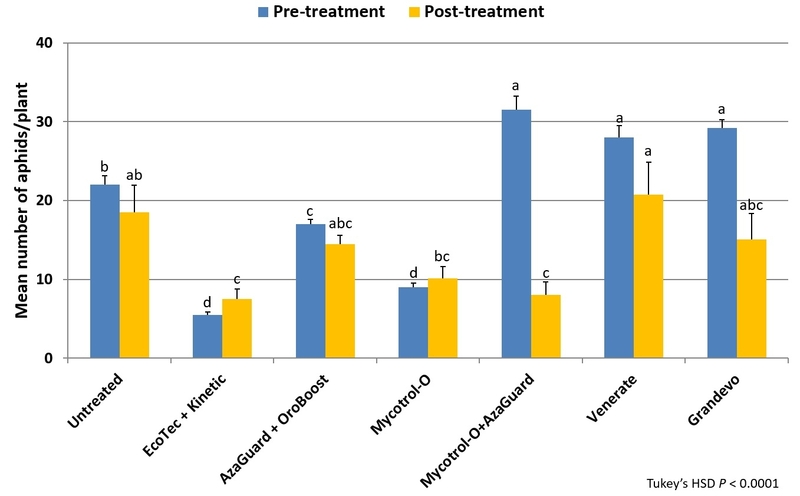 To address the issue, a field study was conducted using the following treatments: i) untreated control, ii) Ecotec (rosemary oil 10% and peppermint oil 2%) 19.2 fl oz along with 12 fl oz of Kinetic (silicone and non-ionic surfactants), iii) AzaGuard (azadirachtin) 6.3 fl oz along with 20 fl oz of OroBoost (alcohol ethoxylate), iv) Mycotrol-O (Beauveria bassiana) 1.5 qrt, v) Mycotrol-O 1.5 qrt along with AzaGuard 6.3 fl oz, vi) Venerate (Burkholderia spp.) 2 gal, and vii) Grandevo (Chromobacterium subtsugae) 2 lb per acre. 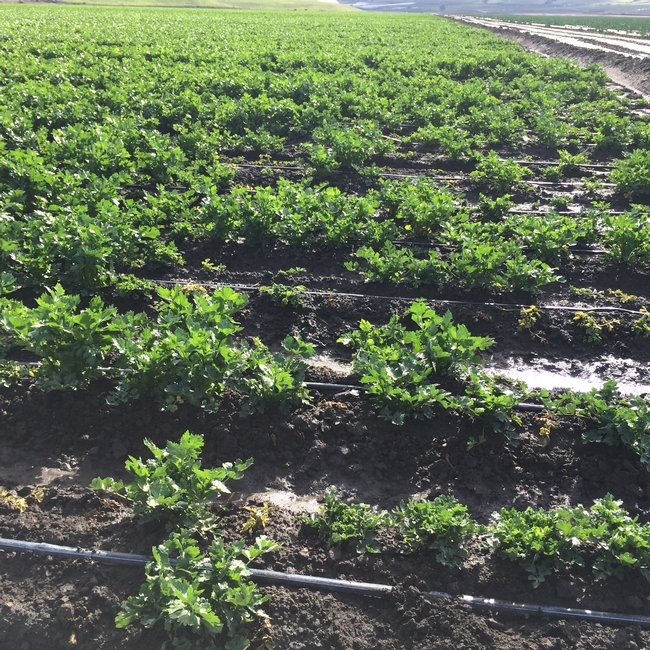 Each treatment was about 0.3 acres of single plot and pesticides were administered through the drip system at 250 gpa rate for 40-45 min on December 9 and 23, 2014. 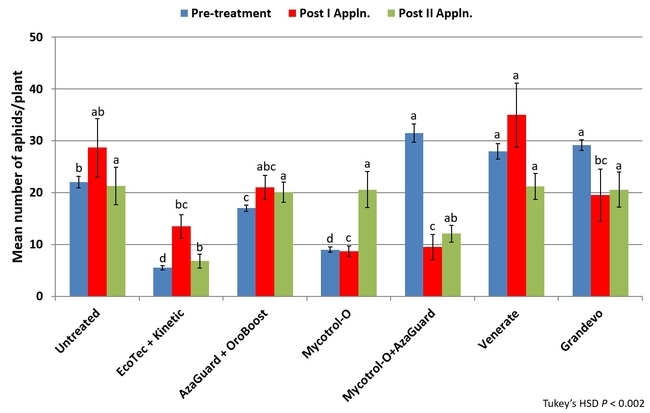 Aphid infestations were evaluated on December 6 (pre-treatment), December 22 (13 days after the first treatment), and January 2, 2015 (10 days after the second treatment). On each sampling date, 10 plants were pulled out from random locations within each treatment, roots were washed in mild soap water, and aphids floating on the surface were filtered and counted. Data were subjected to analysis of variance and significant means were separated using Tukey's HSD test. There was a significant difference in aphid numbers among different treatments before and after each application (P < 0.002) and when the average for both applications (P < 0.0001) was considered. 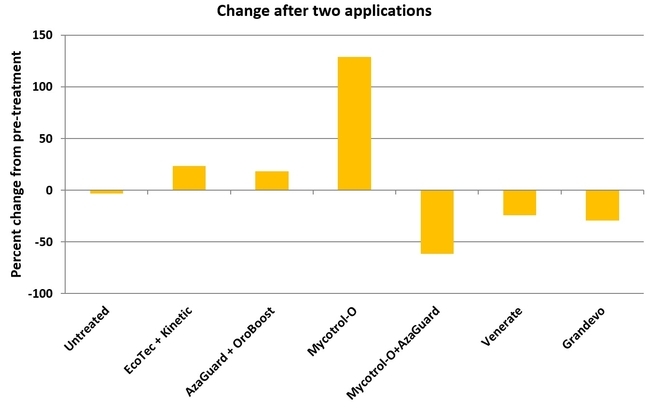 When the overall change in aphid populations after both applications compared to the pre-treatment numbers was considered, there was a 3% reduction in untreated control, 24, 18, and 129% increase in Ecotec, AzaGuard, and Mycotrol-O treatments, respectively. However, Mycotrol-O along with AzaGuard provided a 62% reduction in aphid populations followed by a 29% reduction by Grandevo and 24% by Venerate. 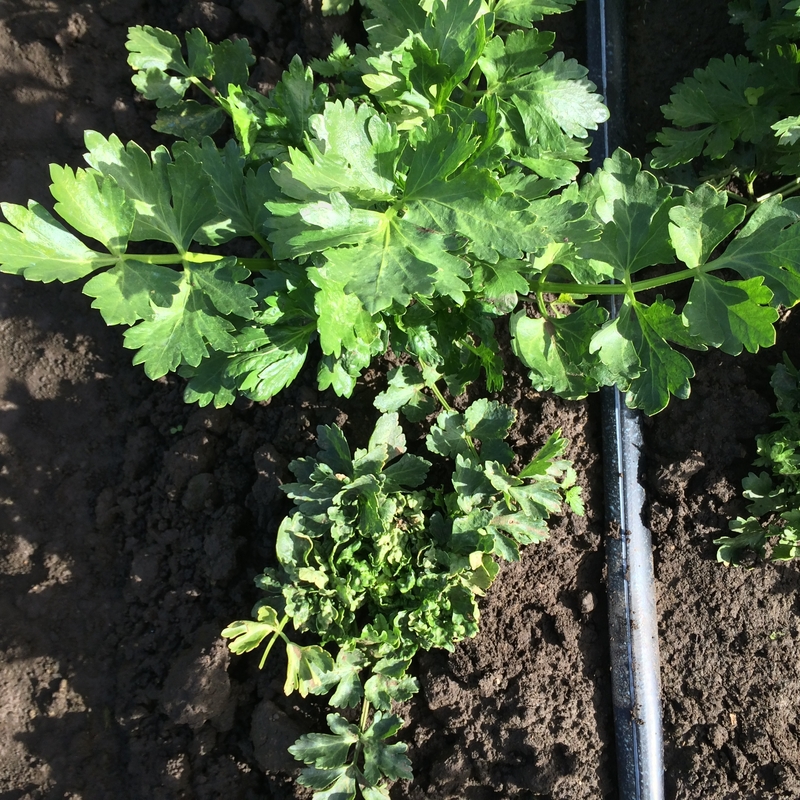 This study demonstrates the potential of non-chemical options in managing aphid populations in organic celery. Microbial pesticides especially in combination with botanical pesticides can play a significant role in pest management. Understanding the modes of actions of different options and using the right combinations is critical in pest management decisions. 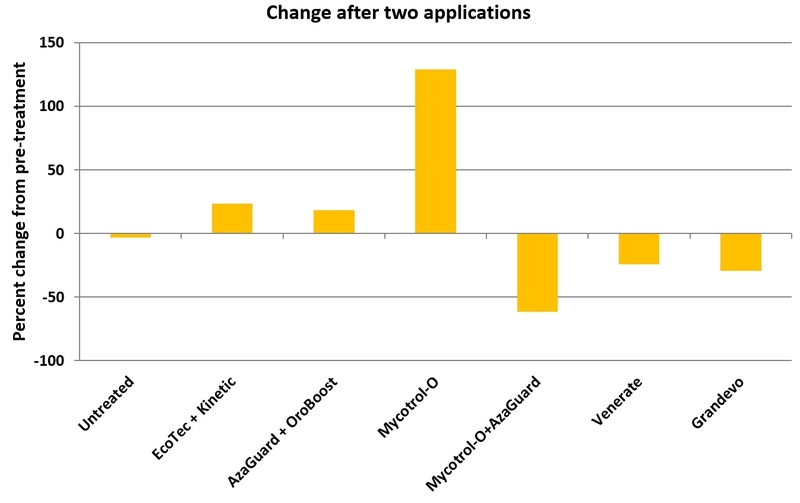 Change in aphid populations before and after treatments. Thanks to the technical assistance of Cintia Perez and Emmy Williams and industry collaborators for donating the products.